As part of a business visit to Turkey, a delegation of Azerbaijani state-owned SOCAR company led by the company president Rovnag Abdullayev met with the board of the Star oil refinery operating in Izmir, Turkey, Trend reports referring to the oil company. During the meeting, the delegation got acquainted with the current situation at the refinery. Production figures were presented, which have increased significantly since the refinery's commissioning. The adjustment work was successfully completed within 5 months, due to which all installations are operating at full capacity. Within the framework of integration with the SOCAR Turkey Energy petrochemical plant, the Star oil refinery had already begun supplying naphtha to the Petkim complex in January of this year. As to diesel and aviation fuel, the plant also brought these products to the market since February 2019. Equipped with state-of-the-art technology and meeting Industry 4.0 standards, the refinery is currently working on improving the plant's digital infrastructure. During the meeting, new targets were set for increasing the effectiveness of further work. 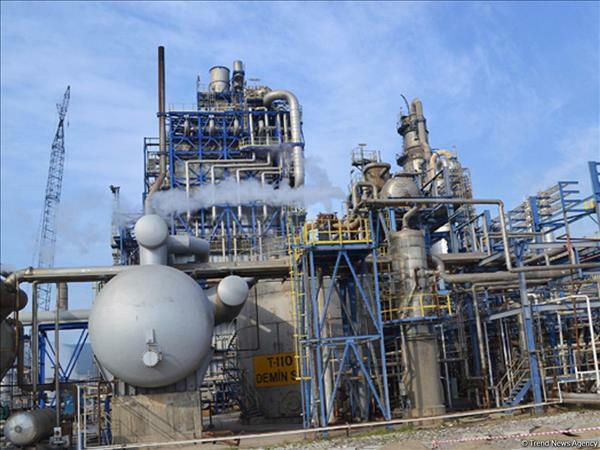 The total oil refining capacity of the refinery will make up 10 million tons, and SOCAR will be the main supplier of raw materials for the enterprise. The refinery will allow for significantly reducing the dependence of Turkey on imports of petrochemical products. Some 1.6 million tons of naphtha, 1.6 million tons of aviation fuel, 4.8 million tons of low-sulfur diesel fuel, 700,000 tons of petroleum coke, 420,000 tons of mixed xylene and 160,000 tons of sulfur will be produced in the Petkim petrochemical complex of the refinery. The refinery is worth $6.3 billion and was built by SOCAR in the Aliaga District of Turkey's Izmir Province.